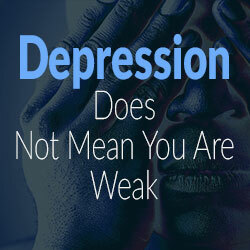 Depression, anxiety, and panic attacks are not signs of weakness. They are signs of having tried to remain strong for too long. Far too many people succumb to depression. 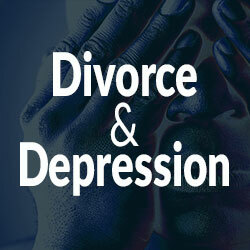 While there is no cure, and it is not easy, there are some tips which can aid you through a painful time, such as divorce, and hopefully help people avoid tragedy, like Tom. Depression can quickly take over your entire life, consuming your every thought, making leaving the bedroom seem impossible. Sufferers of depression, on average, tend to be more intelligent, higher functioning persons than the rest of society. There is no need to feel shame over depression, however there is a large need to admit to the issue, and try your hardest to remedy it. Focus and determination can play a huge role in your journey through divorce. By allowing yourself to focus on the negative, depression can take over. Try and keep focus on positive energies, new hobbies or exercise. Allowing negative energies to take over completely will leave in the dark way past your divorce, when the ultimate goal is to have a new, better life post-divorce. Make sure you surround yourself with plenty of support; in case you feel yourself drowning you won’t fall if you’re alone. And while focus may be important during a divorce, there is ultimately a time and a place to let go. Depression will surely consume your life if you do not eventually find peace with the unspeakable things that may have happened, and try to rebuild. 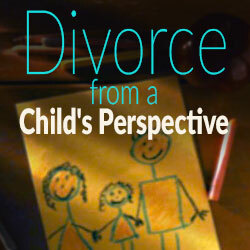 Divorce should only be an unfortunate chapter in a person’s life, not their defining story. While sometimes it can be important in a divorce to be offensive, and have a focus on some negativity in your life, it is incredibly important you make sure the balance stays positive overall in your life. Becoming obsessed, or too involved with negativity or battling can take you over. Find time to take a break, to play with your kids, to enjoy a nice meal. Depression is a constant battle, so staying ahead of it can be crucial.